Tag Archive | "Pablo Escobar"
The Post recently traveled to Colombia with Shana Poll. While there, Shana visited the cities Guatape, Medellin, and Nuqui. In the photo, you can see her standing among some ruins. “Hello, from Guatape, Colombia. 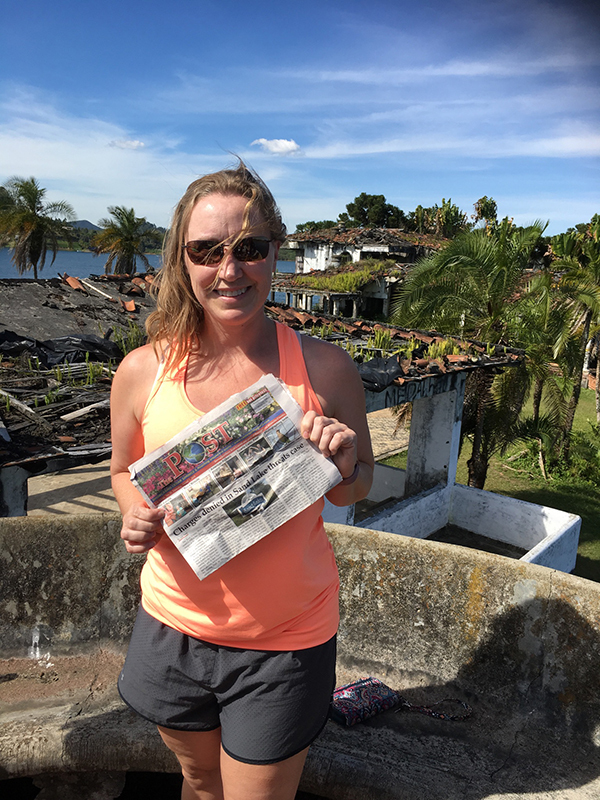 I’m on the pool house overlooking the burned out home of Pablo Escobar,” she said. And if you look closely at the photo, you can see she is pointing at a picture of herself from her last “Post travels to” earlier this summer when she went to China. Thank you, Shana, for taking us with you!